Serbian restaurants offer food that suits to your most pleasure-seeking appetites. 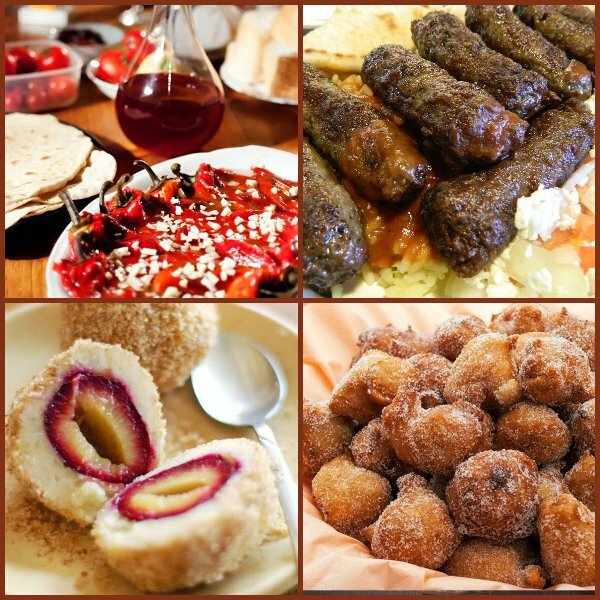 Serbian cuisine is a wonderful mix of flavors from east and west that have developed under the influence of various European and Asian cultures. Among the European flavors, the most easily recognized and influential ones come from Hungary, and the reason for this lies in the fact that the northern part of Serbia, Vojvodina, remained under the Austro-Hungarian rule for more than a century. 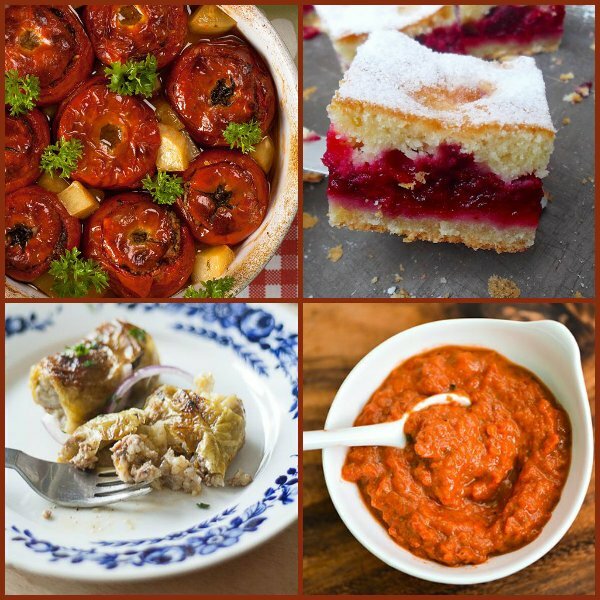 Typical dishes that come from Vojvodina strongly resemble those served in Hungary and Austria, especially when it comes to fish and meat dishes, various types of sausages, desserts, and spices such as smoked paprika. Even more evidential is the Turkish influence. Southern part of Serbia was under the Ottoman Empire for eight hundred years, so it does not come as a surprise that Serbian restaurants now serve dishes that will instantly remind you of the Mediterranean and the Middle East. You will notice this also in the way we like our coffee (also called Turkish coffee or turska kafa), often served with ratluk (a type of sweet also known as Turkish delight). Unfortunately, Serbia is not an ideal destination for vegetarians. If you like your meals meat-free, you won’t find that many options among the traditional dishes, but many modern restaurants in Serbia do offer a great variety of international dishes and you will easily find something for yourself (however – you’ll miss out on a very significant part of our culture). in a way a criterion for a restaurant to be qualified as worth visiting: if it serves good roasted meat – it passes the test. Other meat dishes count as well, but this being the trickiest one – it is taken very seriously. Even Jamie Oliver tried to explain complex of Serbian cuisine. Among other traditional meat dishes that you will find in a menu there are gulaš (type of stew, originally Hungarian, spiced with smoked paprika and prepared over an open fire), Karađorđe’s steak (stuffed veal steak rolled in bread crumbs and fried), musaka (originally a Turkish/Greek dish, made with layers of minced meat, potatoes, and eggplant), sarma (sour cabbage rolles stuffed with minced meat and rise), and tripes. Barbecue is also popular in Serbia. It is one of the most common types of street food, but it is also very often eaten in traditional restaurants. Many towns and cities around Serbia have local varieties of grilled specialties that they like to boast about. Whichever the recipe, the taste remains perfect. Burgers (pljeskavica), kebab and sausages are mostly made of pork mixed with onion. If you find yourself in the Serbian capital, the choice will mostly depend on your location and budget. If you want to eat really tasty, traditional food, head to Skadarlija, a bohemian neighborhood in the heart of the city. Not only does this place offer a unique charm in the middle of this bustling capital, but it is also lined with a number of bars, cafes and restaurants. It is truly a paradise for food lovers, and here you will find amazing choice of traditional dishes. Also, the neighboring town of Zemun, famous for its fish trading history, will be a perfect choice for non-meat eaters, or those who enjoy slightly different (but also seriously delicious) food. (that again don’t lack meat), a salaš is the way to go.